Monologue plays out like a novel, where the Abernathy's expand the perception of family over Ab’s expansion of the stripped down Soul/R&B music we’re used to hearing. Whether he’s playing piano, wurlitzer, synths, guitar, programming drums, live drums, or arranging strings and horn lines, Ab’s mastery of musicianship is on full display through Monologue’s array of colorful, complex compositions, coupled with his rich, layered vocals. Ab displays his sultry edge on the Prince-inspired soul-pop records “I See You” and “Pretty Kind,” which showcase his raw and playful vocal lead. Doubt creeps in on the soulful mid-tempo “Play It Cool,” where he questions if he should profess his love or take the approach of the track’s title. The landmark moment in his story comes from the wisdom in his father’s advice to be vulnerable, which leads us into the brilliant composition and standout ballad “I Need To Know.” Ab delivers his monologue on the title track, where he acknowledges his mistakes and revels in his spirituality and newfound wisdom in love. 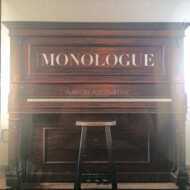 Monologue is a touching and refreshing album about family, love, purpose and music. Ab has the ability to make listeners feel connected, each song taking audiophiles on a trip back to their childhood and the nostalgic feeling of young love. Whether you’re a part of the Abernathy family or not, Ab opens the door for you to come in and visit. After visiting for a little while, you too might find your Monologue.